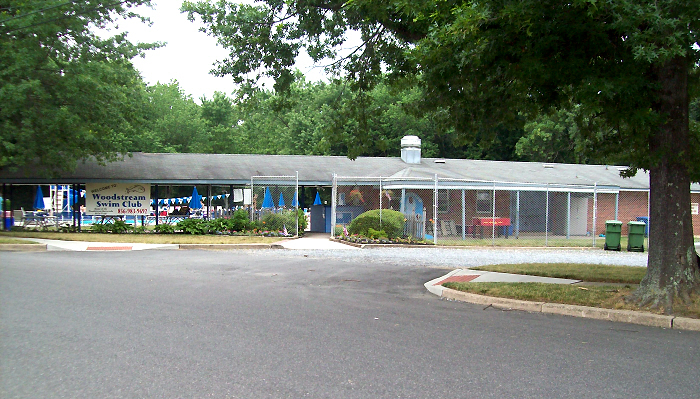 About the time Woodstream was completed, a group of residents formed the Woodstream Swim Club, Inc. A tract of land was purchased from the developer at Greentree Road and Brandywine Drive and construction began on a swimming facility which would feature an olympic sized pool, smaller kiddie pool, snack bar and showers. Tennis courts, basketball and shuffleboard also were included. 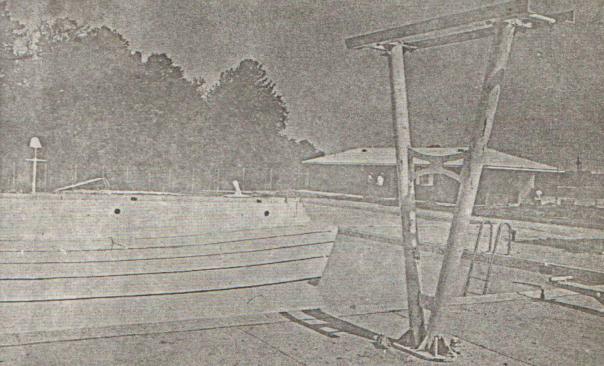 Construction on the swim club was completed in June, 1968. 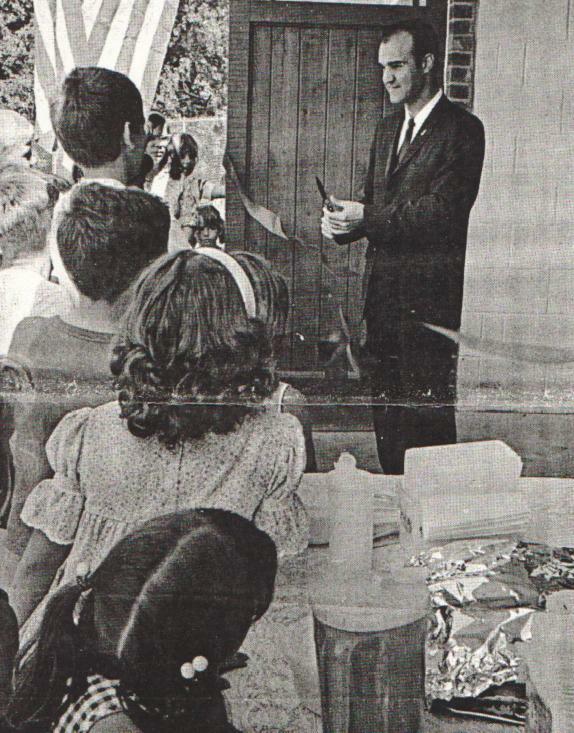 In this photo, standing before eager young swimmers, Evesham Mayor John Franks cuts the ribbon at the grand opening of the facility on Saturday June 15, 1968. Here we see the swim club in June, 1968 near its completion. 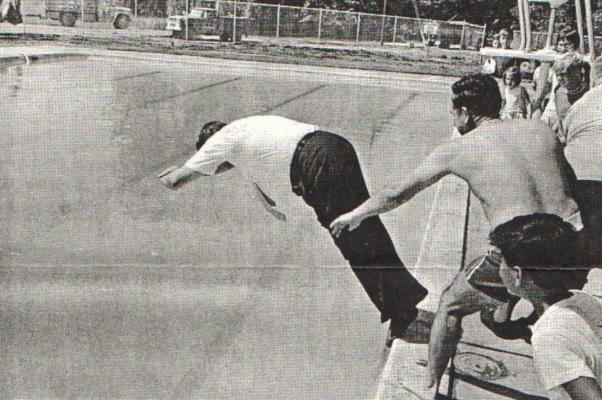 Vince Carpentieri, first president of Woodstream Swim Club, is pushed into the pool at the Grand Opening ceremony and became the pool's first swimmer.